Getty ImagesAnthony Davis’ numbers this season compare to Hall of Fame centres. 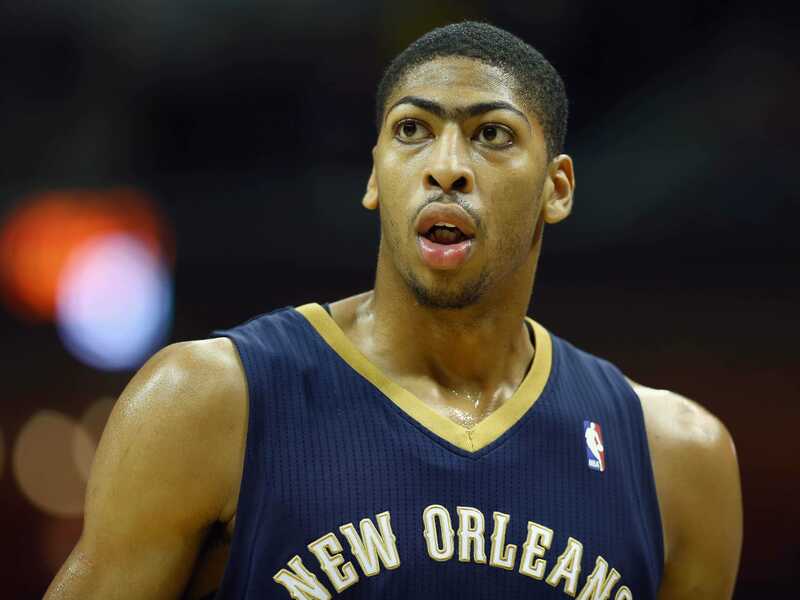 With each game, the excitement around 21-year-old Anthony Davis continues to grow. Davis has been the best player in the NBA over the first 12 games of the season. He has posted a remarkable stat line: 26.3 points (2nd in the NBA), 57% shooting, 11.4 rebounds (5th), 2.2 steals (3rd), and 3.5 blocks per game (1st). He’s also ranked No. 1 with a player efficiency rating (PER) of 35.6. To put that into perspective, LeBron James had with a 29.3 PER last year. Despite all of this, Davis is still relatively unknown to the casual fan. Over the weekend, in a game that would hardly been seen by much of the country, Davis put on a show against the Utah Jazz, scoring 43 points on 16-23 shooting to go with 14 rebounds, 2 steals, and 1 block. His list of highlights showing his versatility keeps growing. A running jumper off the glass, plus the foul? Check. Despite putting up numbers that compare with Hall of Fame centres, as Paul Flannery notes, Davis’ most similar comparison is a young, in-his-prime Kevin Garnett. They were both elite defenders at age 21. However, Davis’ offensive production already tops what Garnett did with the Minnesota Timberwolves at the same age. Davis will get his first national TV appearance of the season on TNT December 4 against the Golden State Warriors. At the rate he’s going, Davis may be a household name by then.